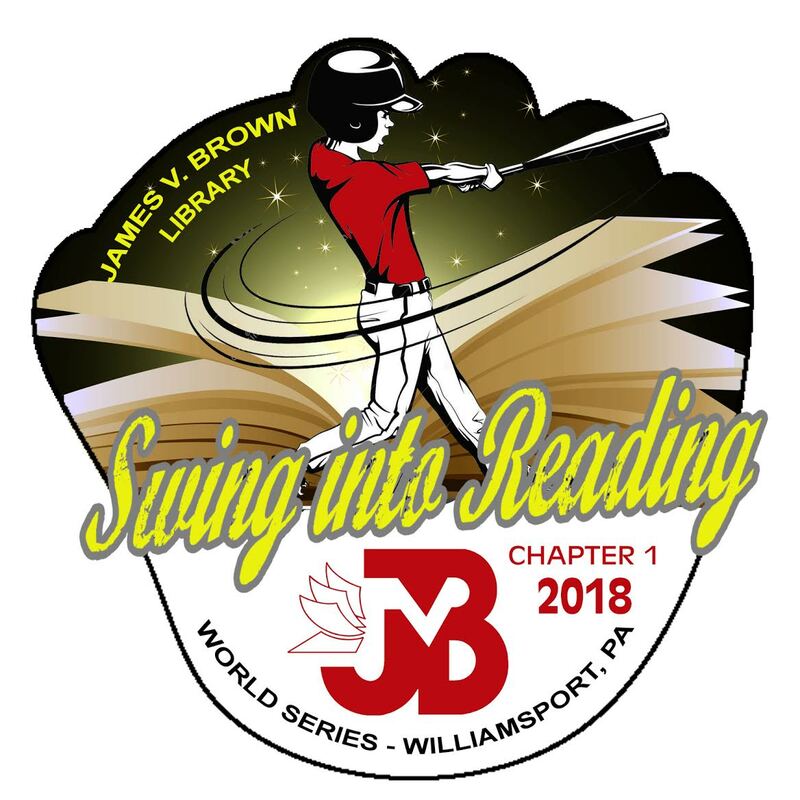 WILLIAMSPORT, Pa. – The James V. Brown Library, 19 E. Fourth St., will have its first-ever Little League trading pin available for sale beginning August 8. 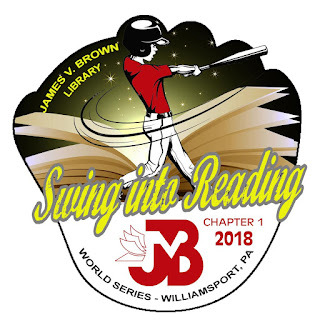 The Little League pin, “Swing Into Reading,” is the first in a series – Chapter 1 – and was designed by Amanda Emig, the library’s graphic artist. The pins are $5 each and can be purchased by cash or check. There is a limit of three pins per family. The James V. Brown Library, 19 E. Fourth St., Williamsport, Pa., is the place to go to learn, connect and grow. Founded in June 1907, the library champions the love of reading, opens new doors to lifelong learning, provides a haven to those who seek and ensures the preservation of public library services for future generations. The library has more than 225,000 visitors in a year and circulates a half-million items annually. A member of the Lycoming County Library System, the James V. Brown Library participates in PA Forward, a statewide initiative to promote literacies in our communities to power a better future for everyone.